While strolling the North Shore neighborhood of Chicago, take time to stop at Three Tarts Bakery in Northfield (19 miles from the City Center) and indulge in fresh baked artisan bread, great cupcakes, beautifully decorated cakes, fluffy quiche, or anything from their sandwich or salad menu. Nothing is mundane, and everything is top notch. Don’t be deterred by the line of customers that sometimes stretches out the door – it’s only proof it’s worth the wait. 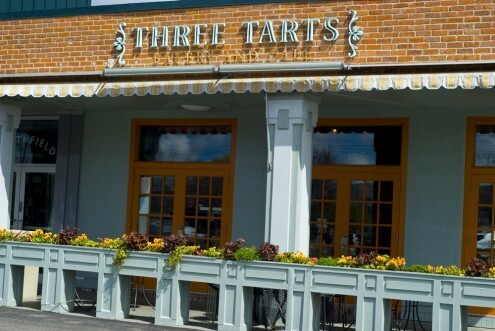 It’s clear to anyone that has tasted Three Tarts that this is a special place. It’s only fitting, then, that the bakery’s packaging be just as good. 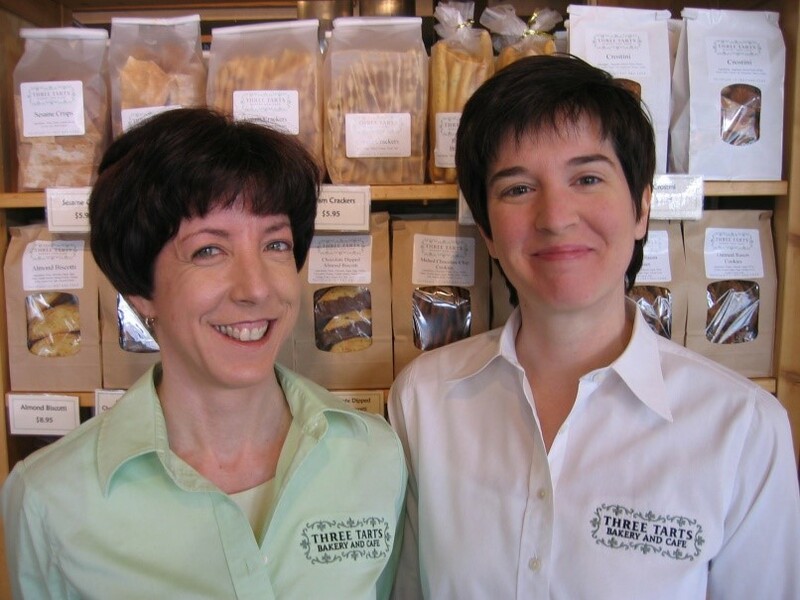 Three Tarts owner Ann Heinz spoke to us about the added value in their custom printed and unique single handle bag. “Our food is special, the bag is special, and people feel special when they’re carrying it,” says Heinz. “People love this bag,” she adds. One thing making this bag so memorable is its shape. 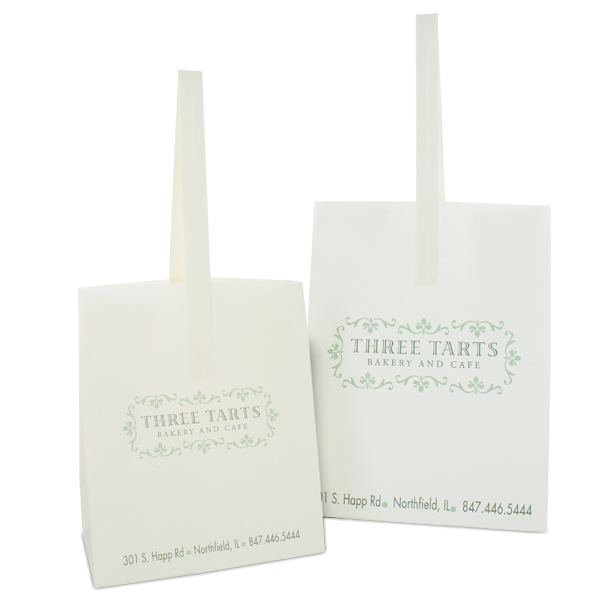 Three Tarts uses what is commonly called an apple bag, in two sizes. It’s called such because it’s primarily used by orchards and farms to sell freshly picked apples. Heinz found that this was the perfect bag for her business. “It’s adorable,” she says. “And it’s different. Plus it works in the fridge, it doesn’t get soggy, and it can be reused. It’s very noticeable, sure, but it’s also very easy to fill and simply works,” explains Heinz. The apple bag’s normal wet strength, heavy grade paper makes it capable of taking a beating while still looking great. Next time you’re in the Northfield area of Chicago, do yourself a favor and treat yourself to any of Three Tarts Bakery‘s crusty breads, delicate confections and a coffee, or simply have lunch. Really good eats made by really great people! Kate Coyne, left, and Ann Heinz, right. MrTakeOutBags has been lucky enough to visit Three Tarts Bakery on several occasions and can attest to its greatness. 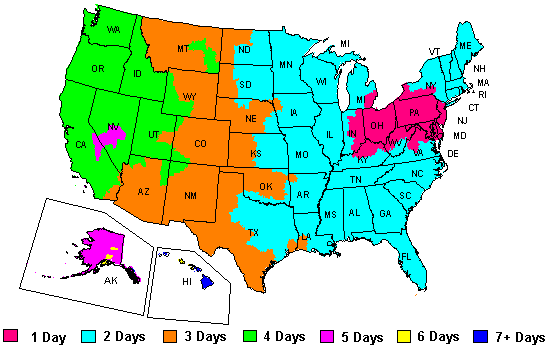 If you get the chance, be sure to check them out!